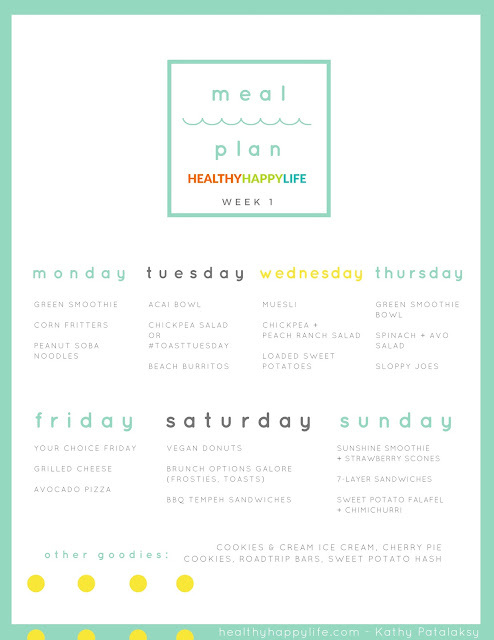 I have been getting a few requests for vegan meal plans over the past year, so I am trying something new this week. And if you guys like it, this series will be a weekly thing here on the blog. 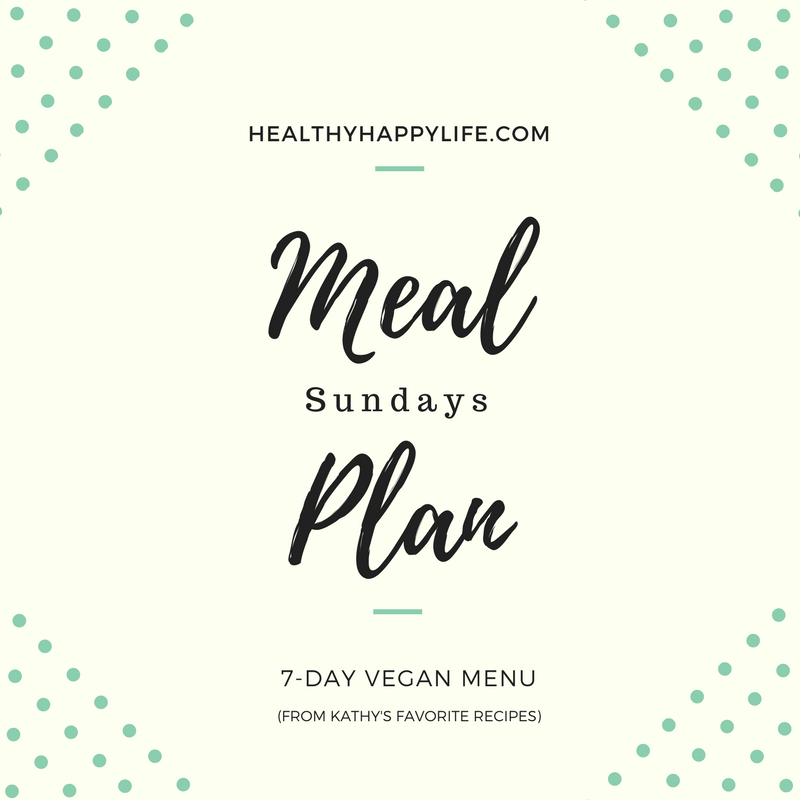 Vegan Meal Plan Sundays! 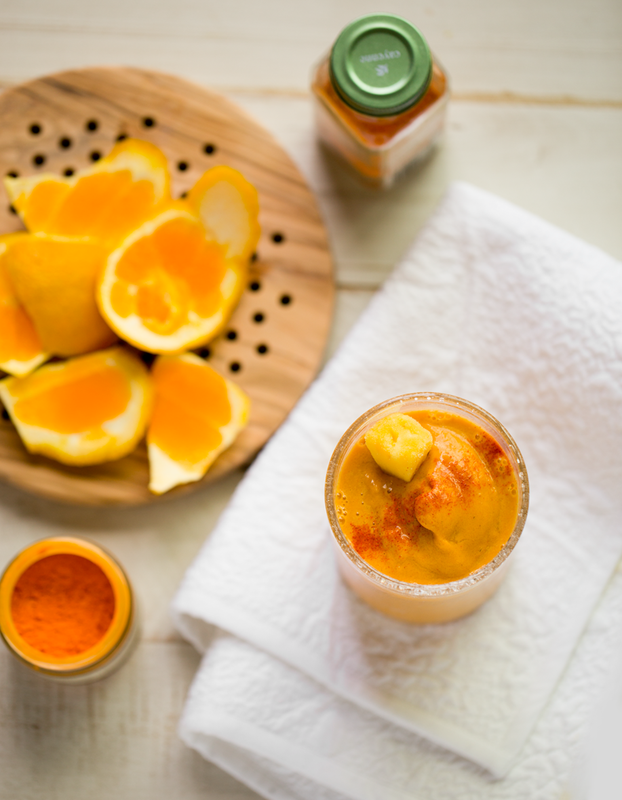 If you guys love this idea, each week I will share a fresh new line-up of recipes that you can try, chosen from my very favorite blog recipes. You can use the collection as general inspiration, or follow along day-by-day, meal-by-meal. If you have leftovers from one meal, you can certainly keep eating them and sub them into the menu where you see fit. The meal plans are going to be seasonal. 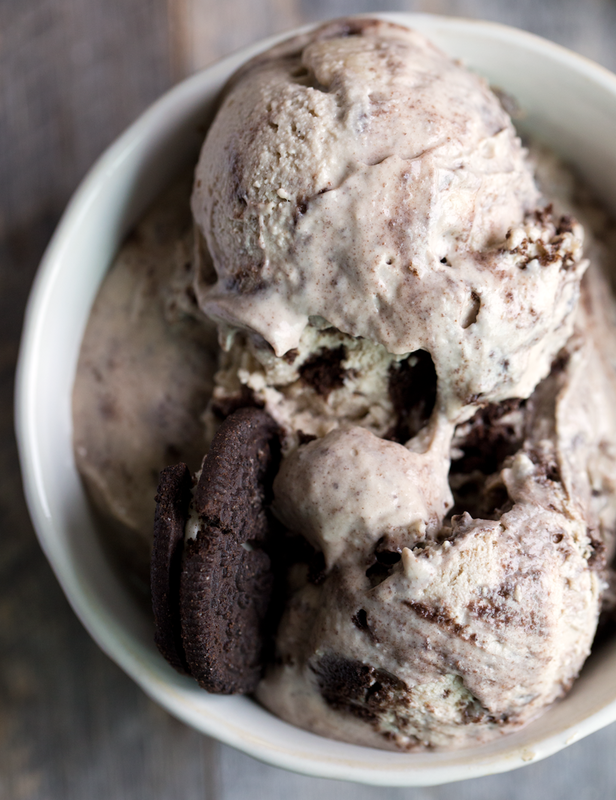 Along with breakfast, lunch and dinner ideas, every week I will feature a few favorite desserts and snacks too. I am personally going to try to follow along here and there, so we can all feel like we are enjoying these meals together. But keep in mind, these menus are made for YOU to make them your own. Sub ingredients, change days around, only make one recipe from each day. No rules, just inspiration. 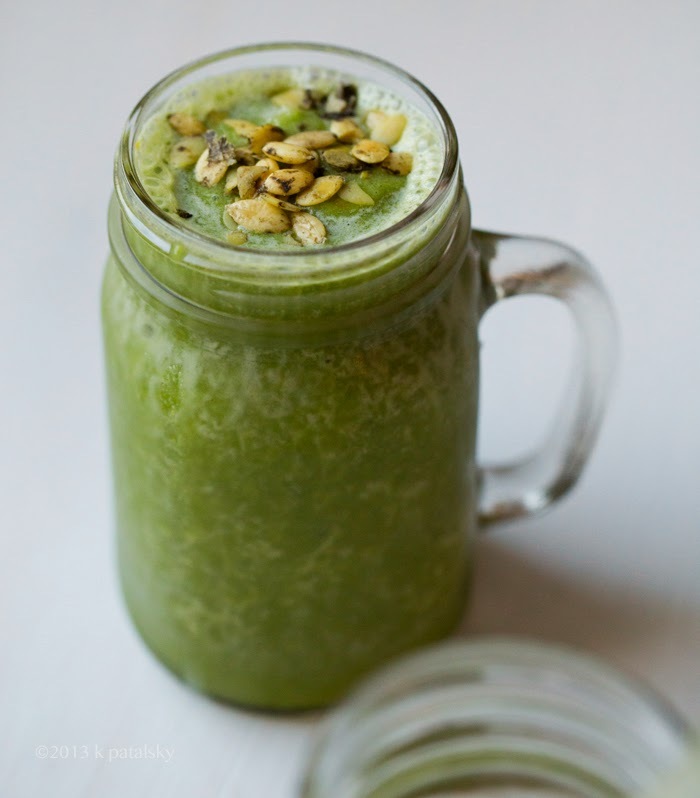 breakfast: Pumpkin Seed Citrus Green Smoothie --- A favorite nutrient-rich green smoothie, light, sweet, frosty flavor. 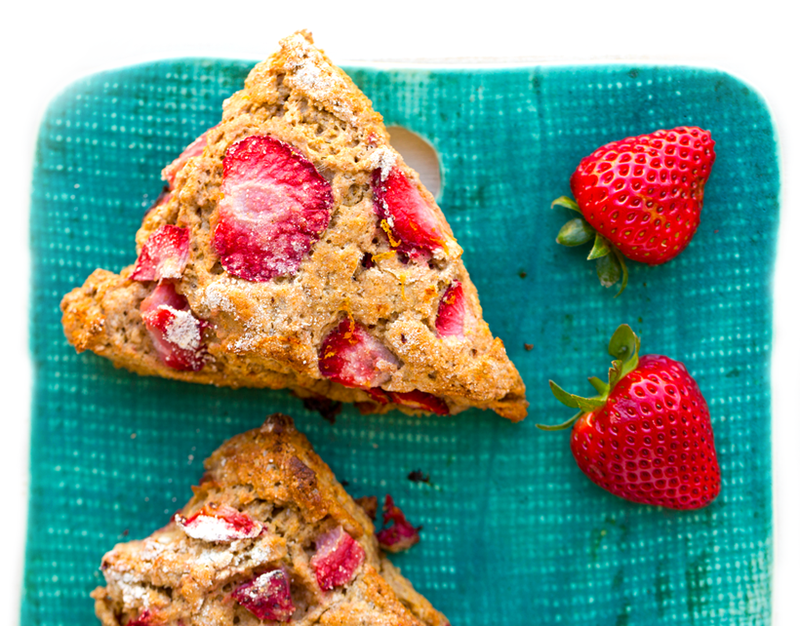 Optional: Pair with nut butter toast and fresh fruit. 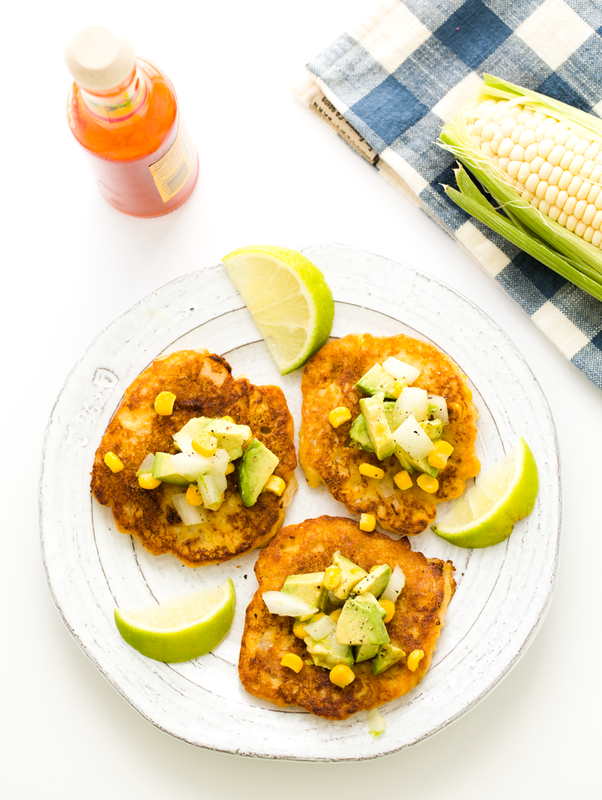 lunch: Summer Corn Fritters with avocado --- pair with a green juice or smoothie or a kombucha. I love these fritters so much! I always add hot sauce or salsa. 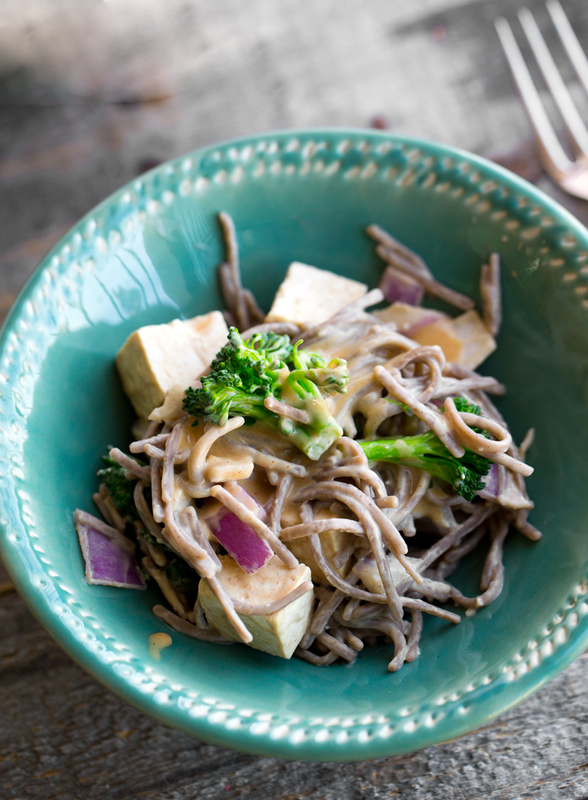 dinner: Peanut Soba Noodles with Broccoli and Tofu --- Delicious served warm or chilled - perfect for summer! 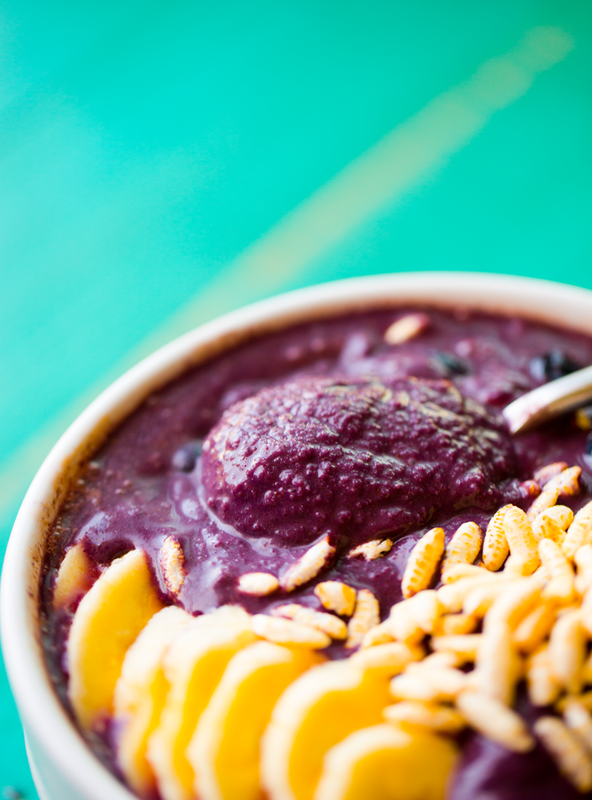 breakfast: Easy Acai Smoothie Bowl --- One of my faves! I make this at least once a week. 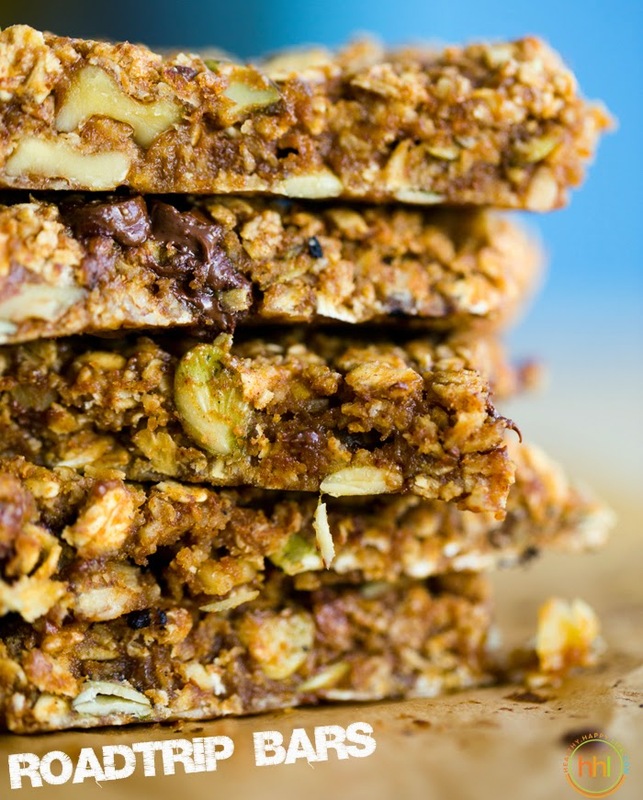 Top with fresh fruit, granola, puffed rice, coconut or eat au natural. 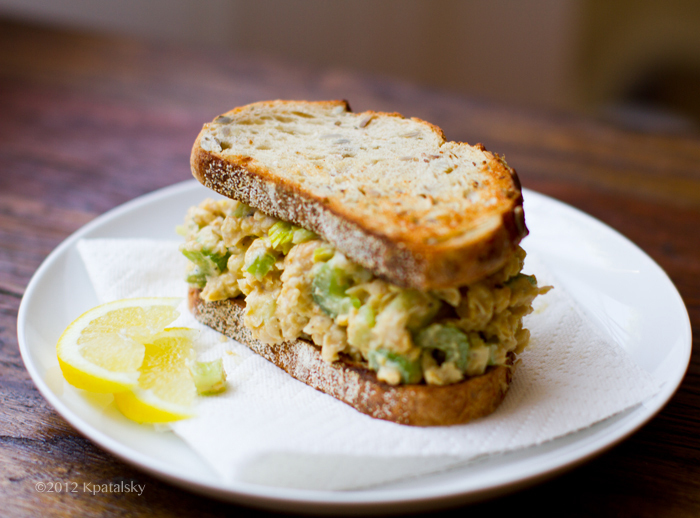 lunch: Vegan Chickpea Salad Sandwich or do Toast Tuesday with Avocado Toast! --- The cool thing about toast is that there are so many options! 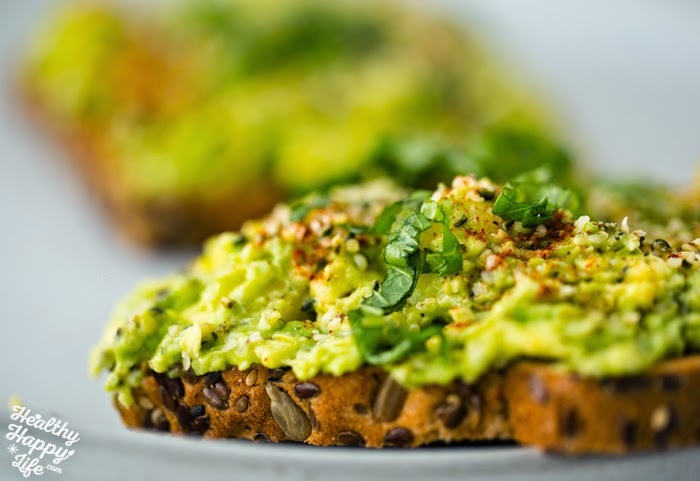 Try avocado, hummus or even the smashed chickpea salad sandwich, openfaced as toast! 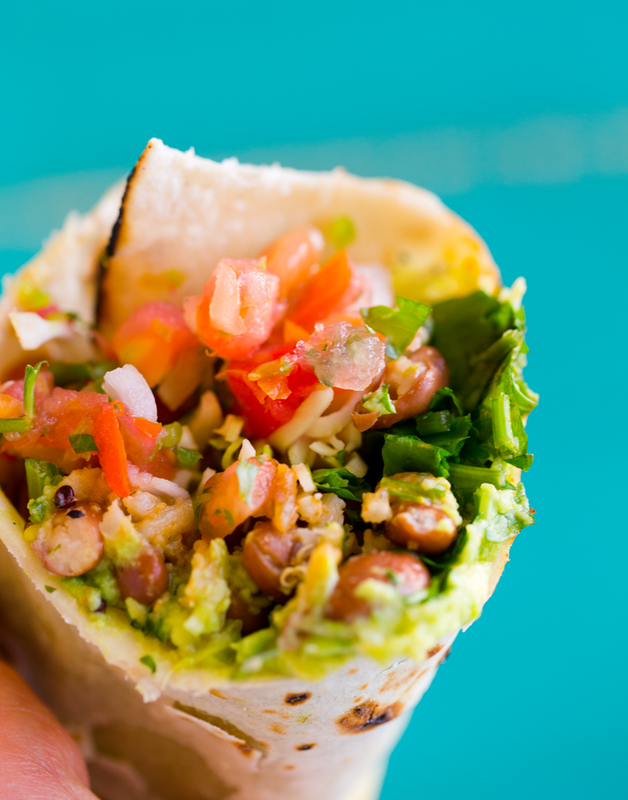 dinner: Santa Cruz Beach Burritos (or burrito bowls) --- OBSESSED with these. I think we ate them four nights in a row when I first posted this recipe. 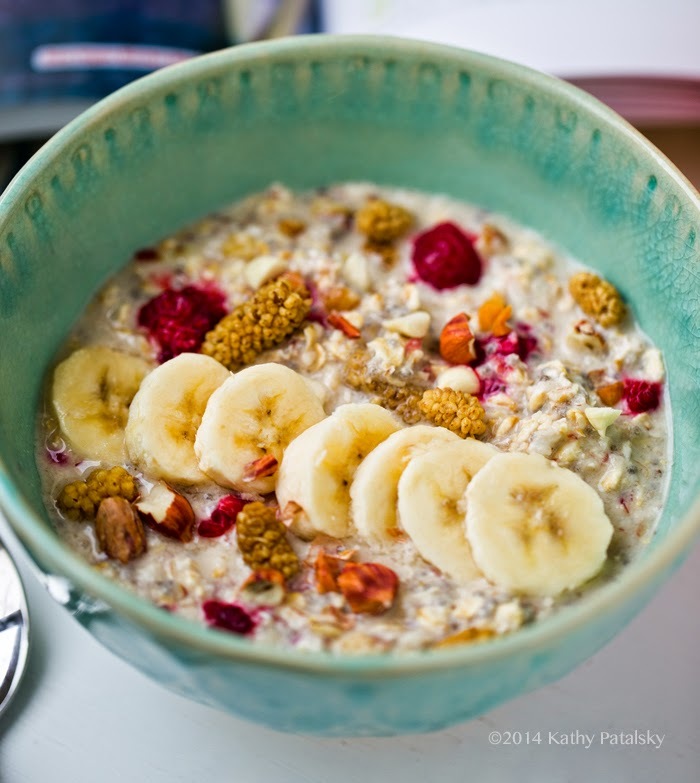 breakfast: Gena's Bircher Muesli (thefullhelping's recipe) --- I love Gena's recipe as a summertime cereal! 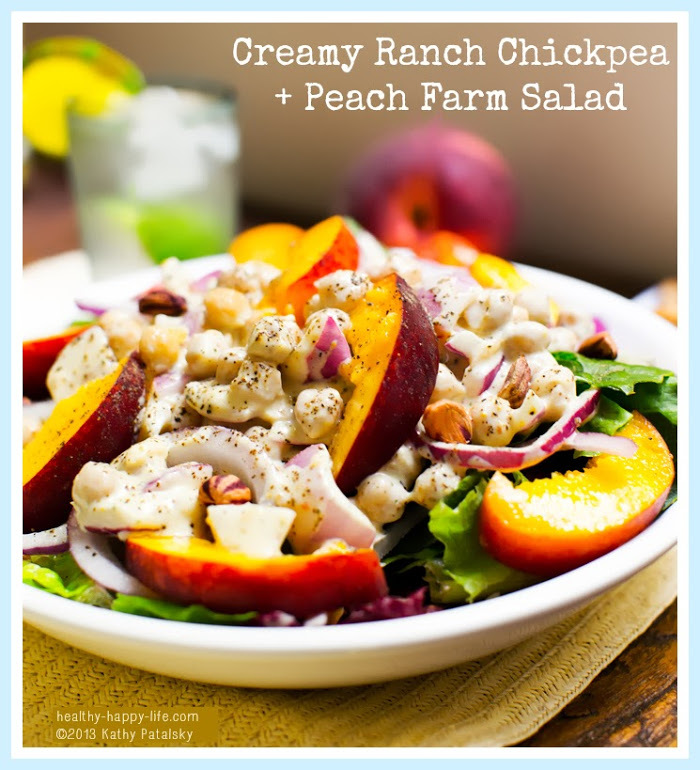 lunch: Creamy Vegan Ranch Chickpea Peach Farm Salad --- You cannot go wrong with peaches, chickpeas and creamy vegan ranch flavor. 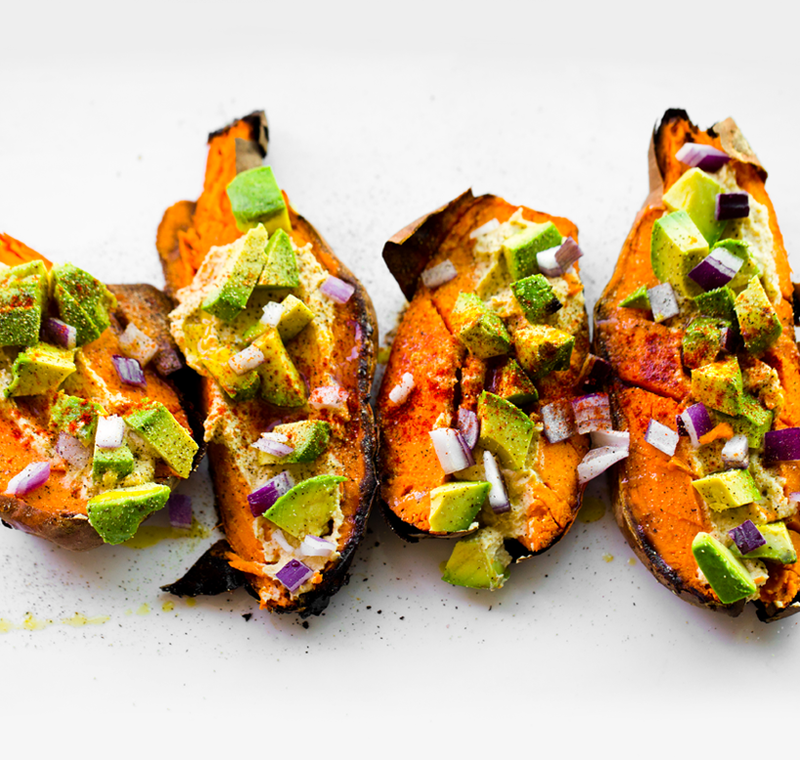 dinner: Favorite Loaded Baked Sweet Potatoes --- One of my favorite easy meals, a loaded sweet potato! If you want 'more' for your meal, you can pair with a side summer salad or hummus toast or even split a vegan frozen pizza with your fam! I love sweet potato mash and pizza.. seriously. 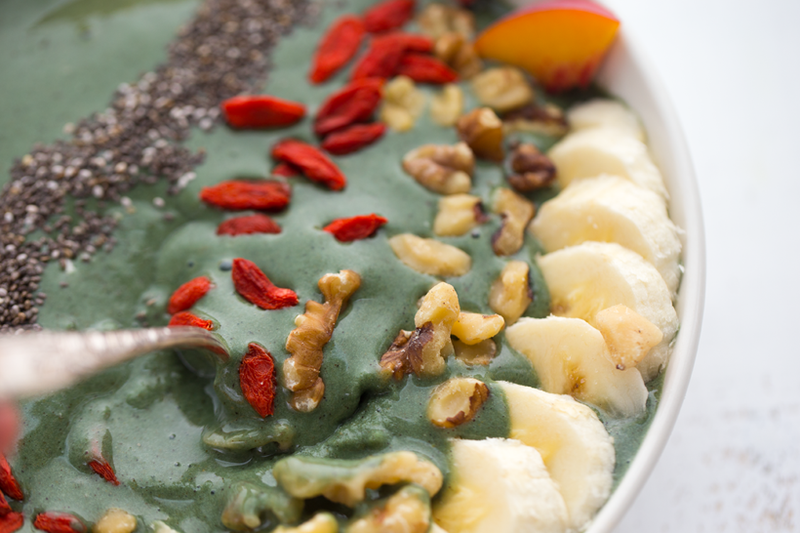 breakfast: Green Dream Smoothie Bowl --- Dreamy green smoothie bowl, sweet banana flavor. 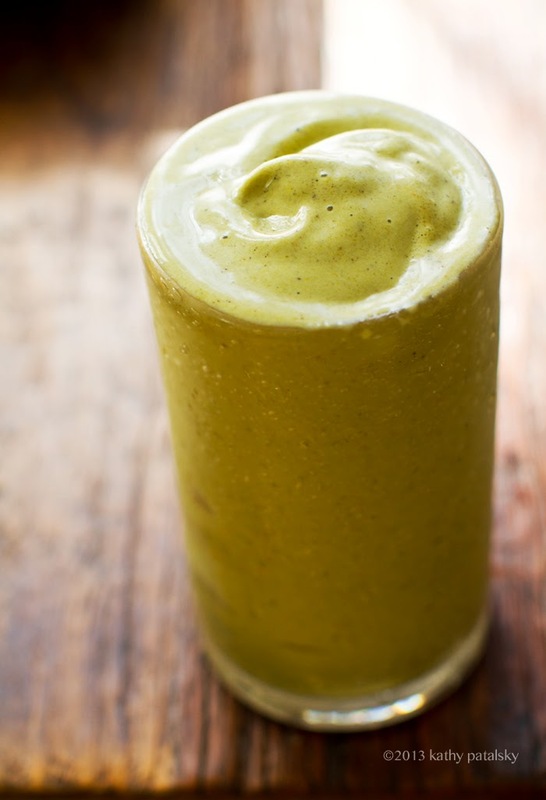 Use your fave protein powder or snag some Philosophie Green Dream which is just my fave. 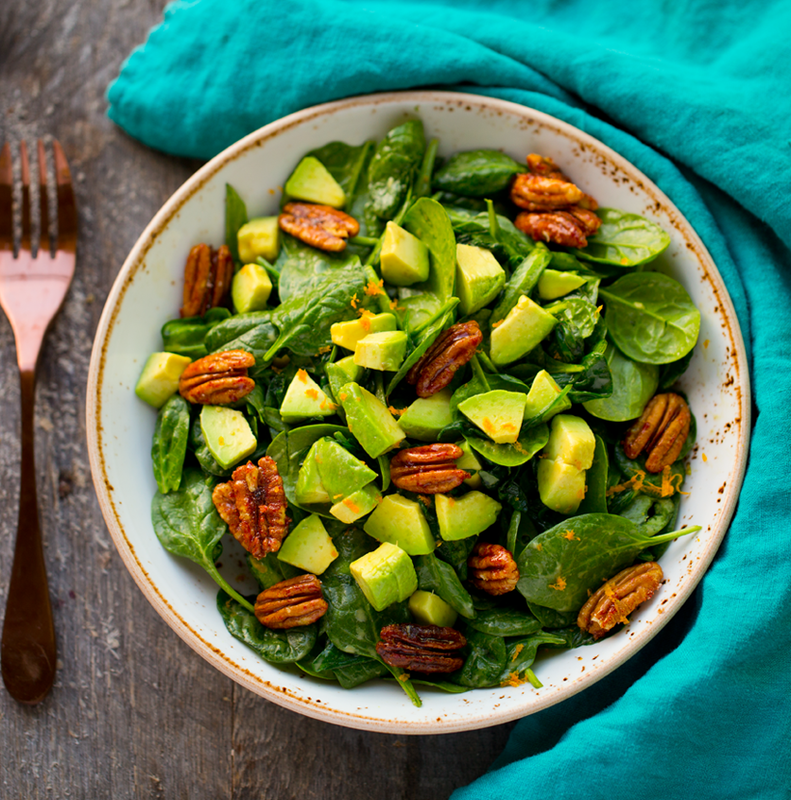 lunch: Candied Pecan + Avocado + Spinach Salad --- In love with these flavors. So simple and so good! 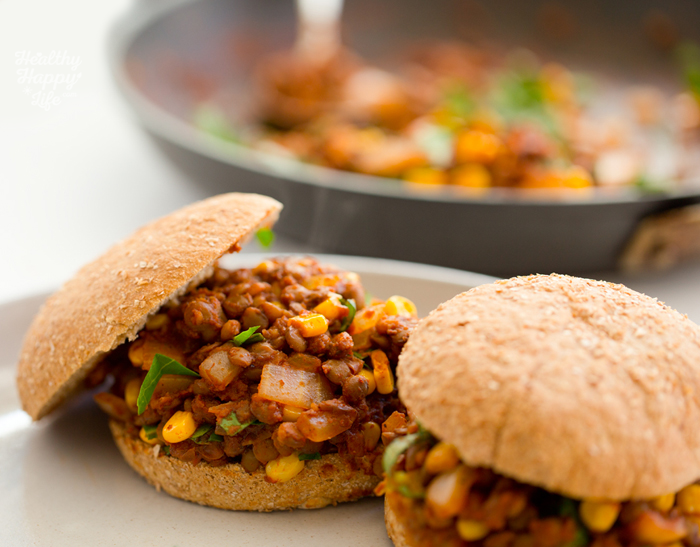 dinner: Summer Lentil Sloppy Joes --- Love! 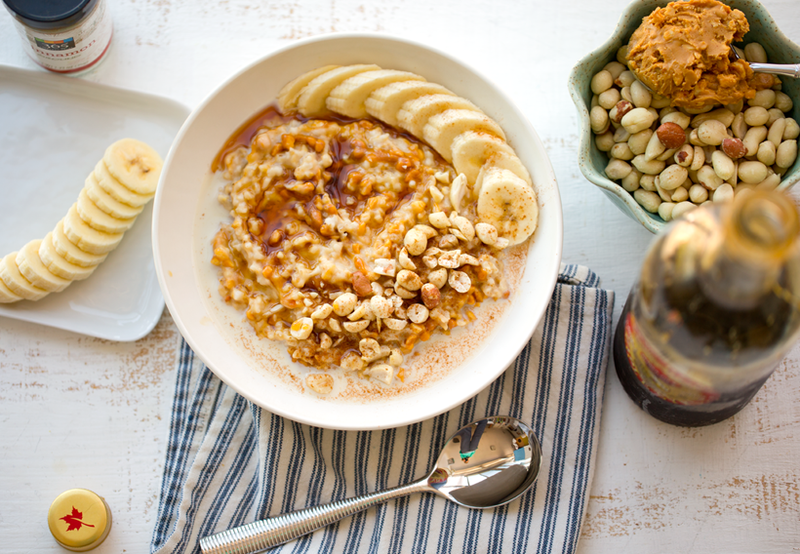 Feel like a kid again with this protein-rich, flavorful meal. Alternative cozy meal: vegan buffalo mac and cheese + tempeh. breakfast: Your Choice Friday! 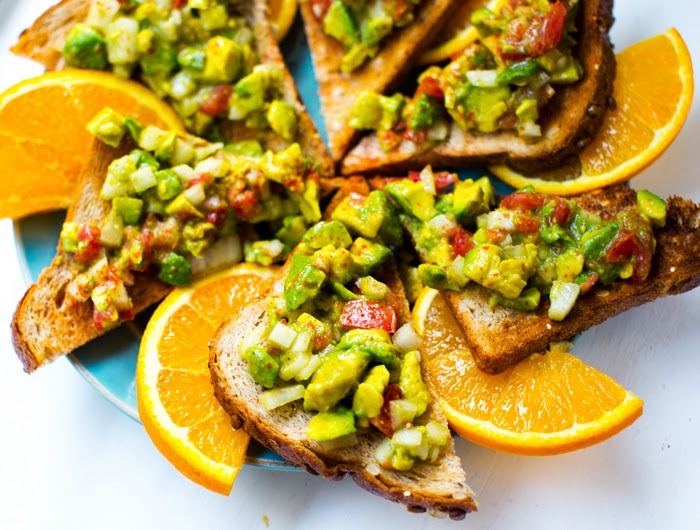 1) Almond Butter Toast with banana 2) Frozen Melon Matcha Shake 3) Peanut Butter Oatmeal 4) Peach Pie Oats 5) Indulge in a big pile of fresh summer fruit! (peaches, melon or berries) --- love them all! Cannot go wrong here. Happy Friyay! 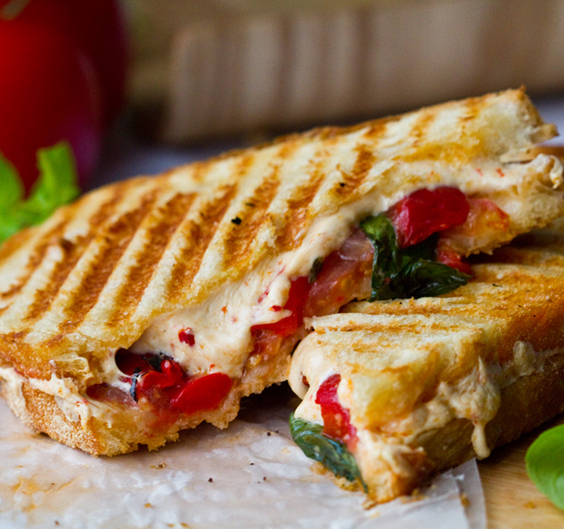 lunch: Tomato Basil Grilled Cheese Sandwich (vegan of course) --- I mean, this flavor combo is insane. Tomato + basil + vegan cheese. 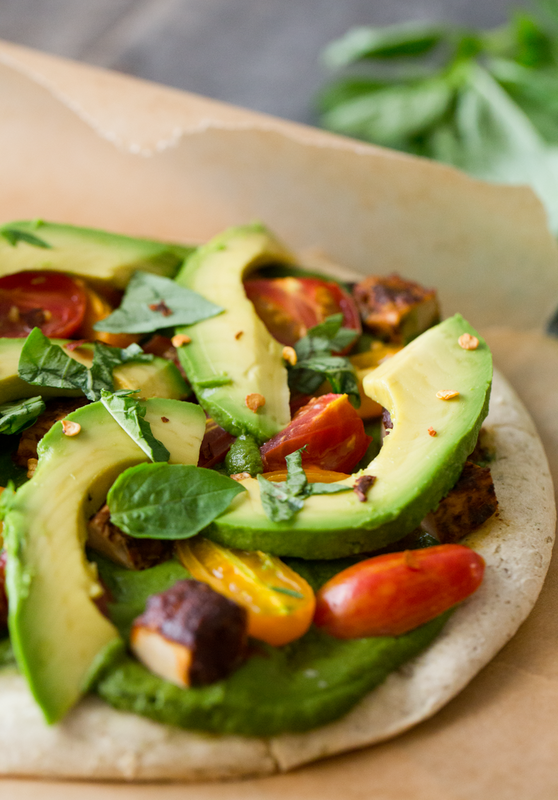 dinner: Fresh Avocado Pizza --- Friday pizza nights are the best! 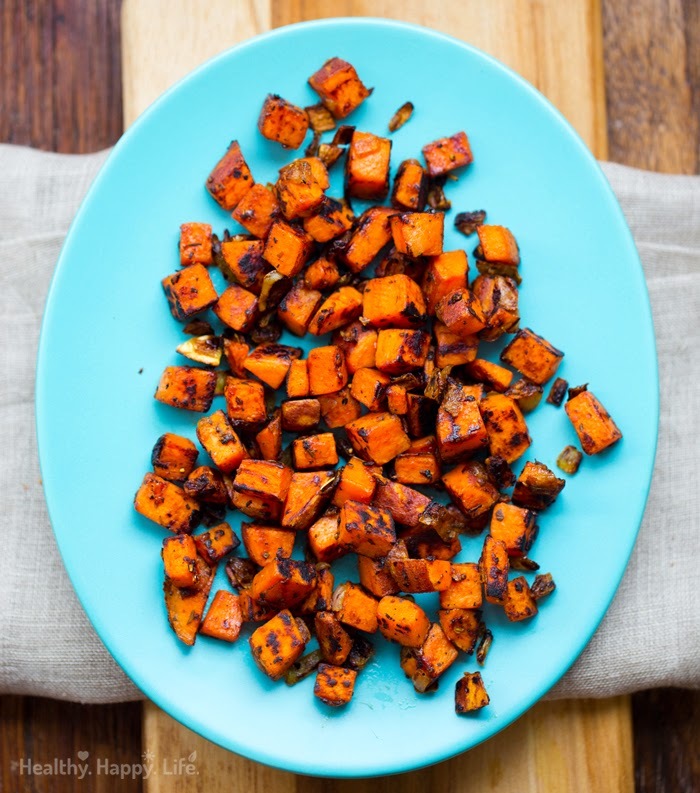 Serve with a side salad or fave roasted veggies. 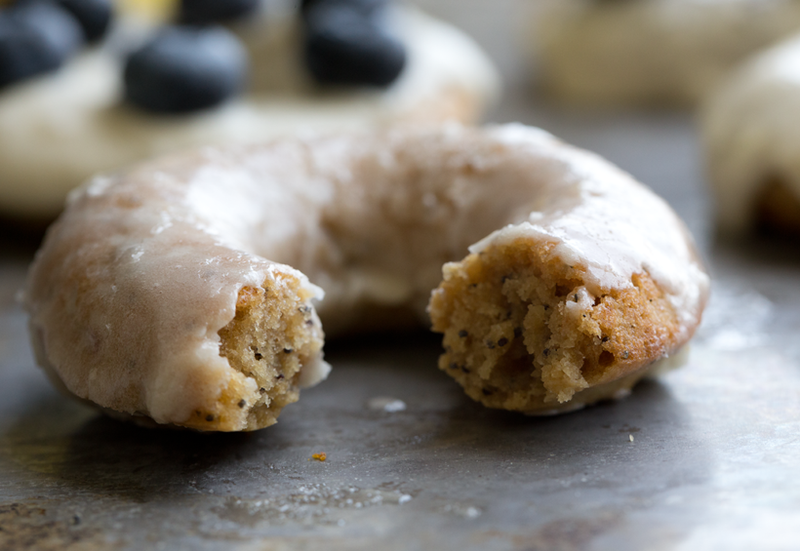 breakfast: Lemon Poppyseed Vanilla Frosted Donuts paired with a summer fruit salad and lattes --- In love with these summery donuts. lunch: 9brunch options!) 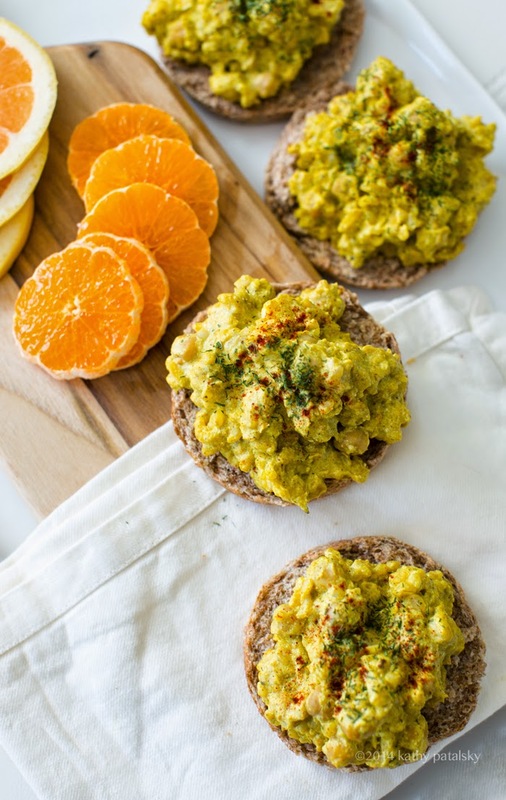 Curried "Eggy" Scramble Toasts or Avocado Toast Pinwheel Platter (great for sharing!) 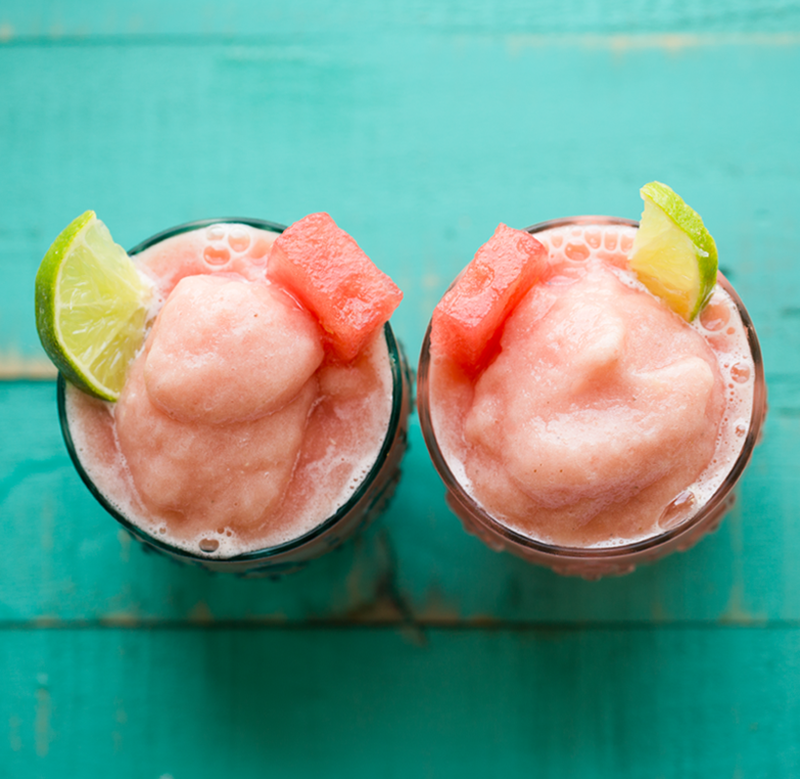 + Watermelon Frosties --- Who loves brunch just as much as me??? 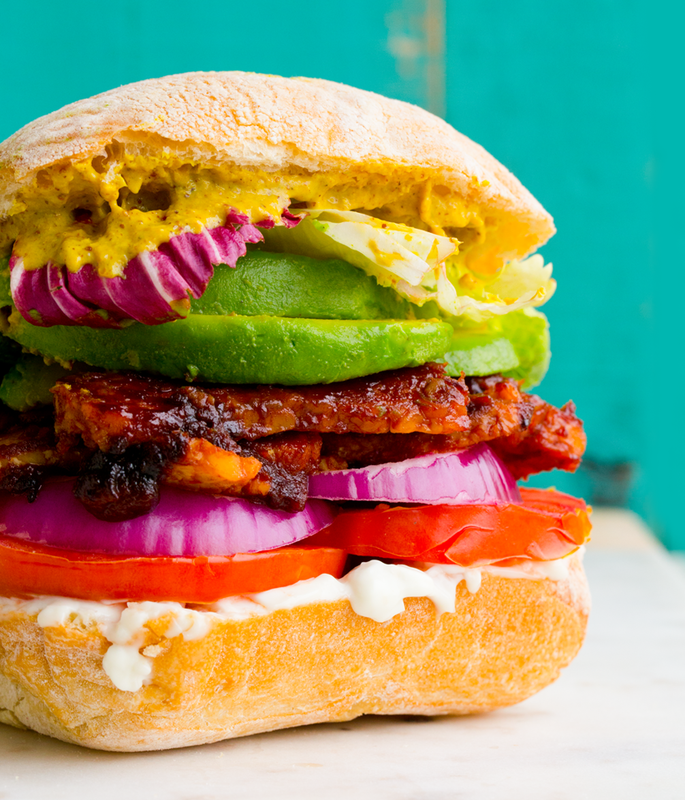 dinner: BBQ Tempeh Avocado Sandwiches --- BBQ Tempeh can do no wrong. So these stacked sandwiches are fun Saturday night fare. breakfast: Orange Pineapple Sunshine Smoothie paired with Strawberry sunrise Scones -- Cozy, sunny eats for a chill Sunday. 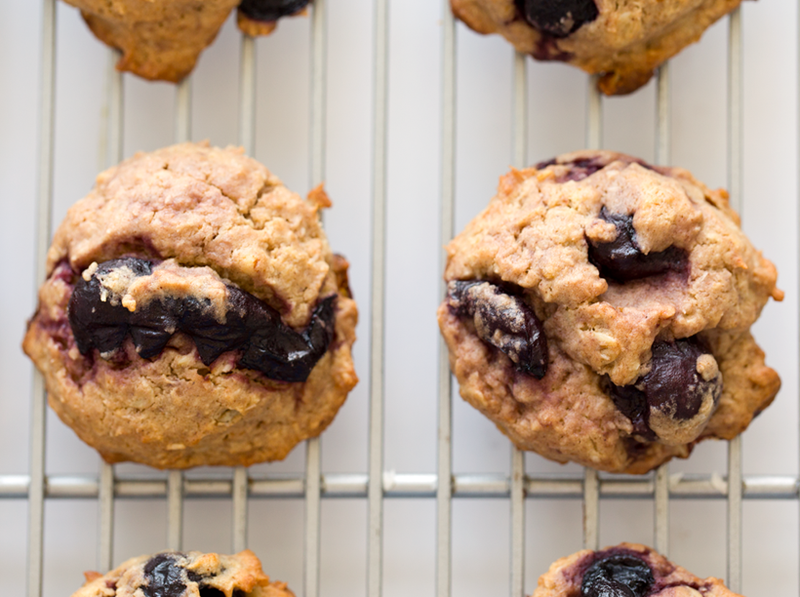 Bake some berry scones and fill the whole house with happiness. 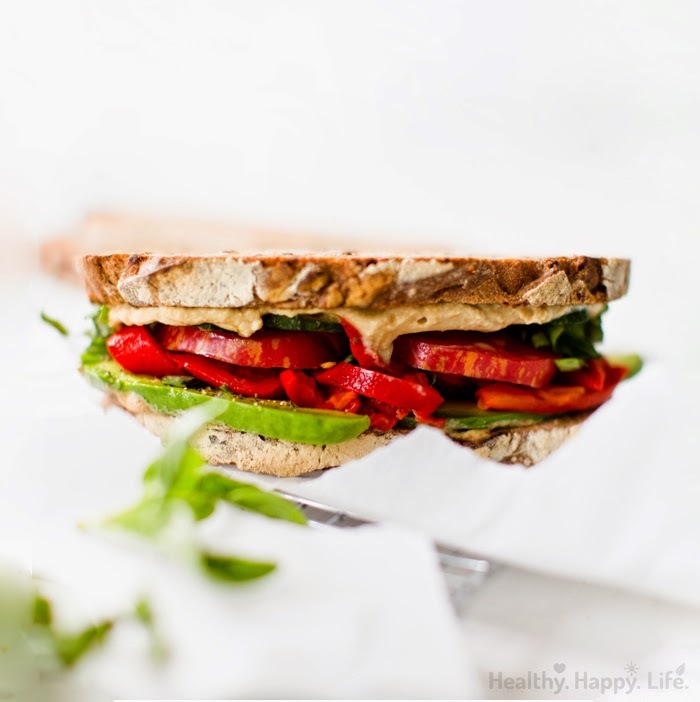 lunch: 7-Layer Santa Barbara Sandwich --- One of my fave lunch sandwiches! Picnic perfect too. 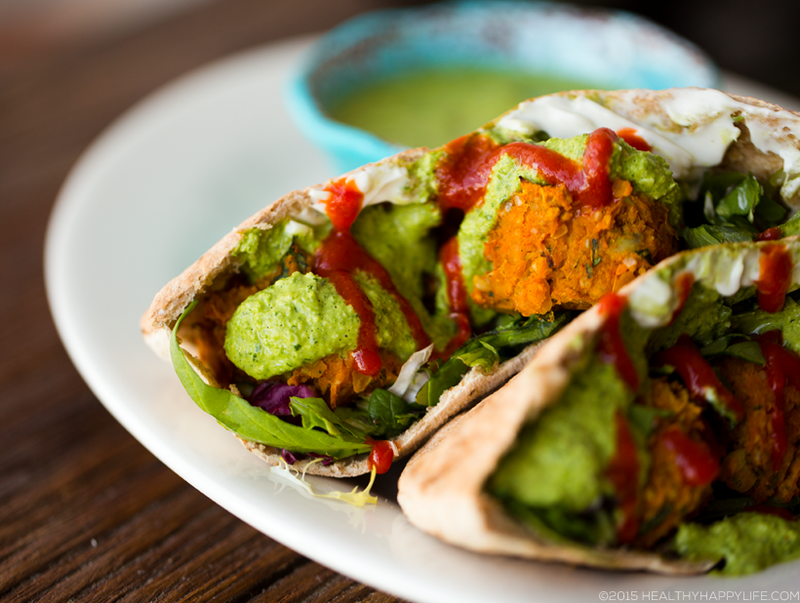 dinner: Sweet Potato Falafel with Chimichurri Sauce -- or do a Veggie Burger Sunday, choose from these recipes! --- You made it! Have a cozy Sunday supper everyone! 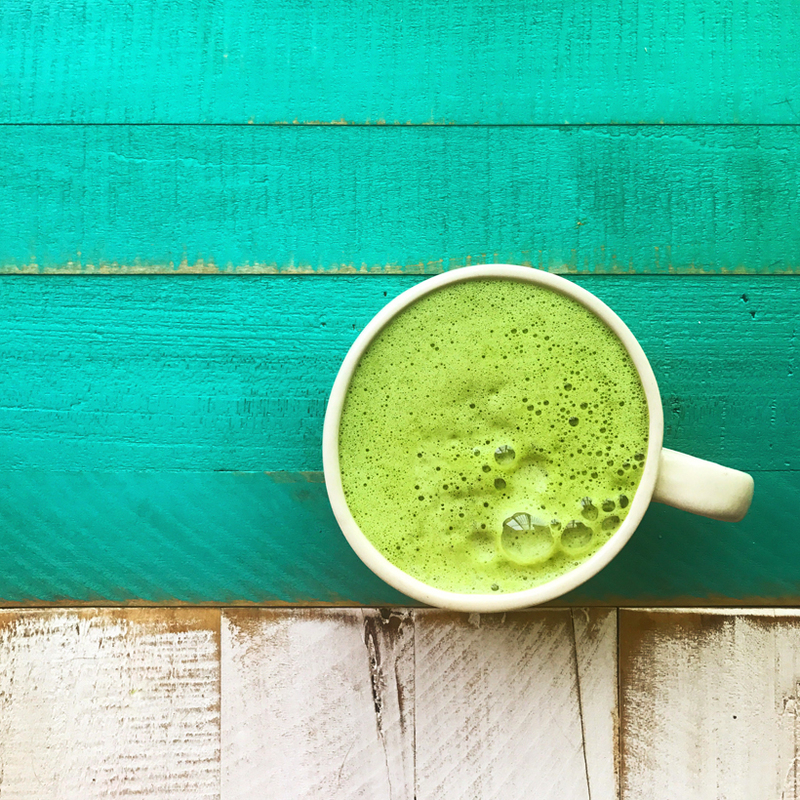 And as always, my daily matcha latte!.. Wellness Mantra of the Week: When stress hits, tell yourself My Happy Place is on the Other Side of This! I can power through. I am strong. I am enough. I am capable of this. Here I go, through this so I can get to my happy places on the other side! 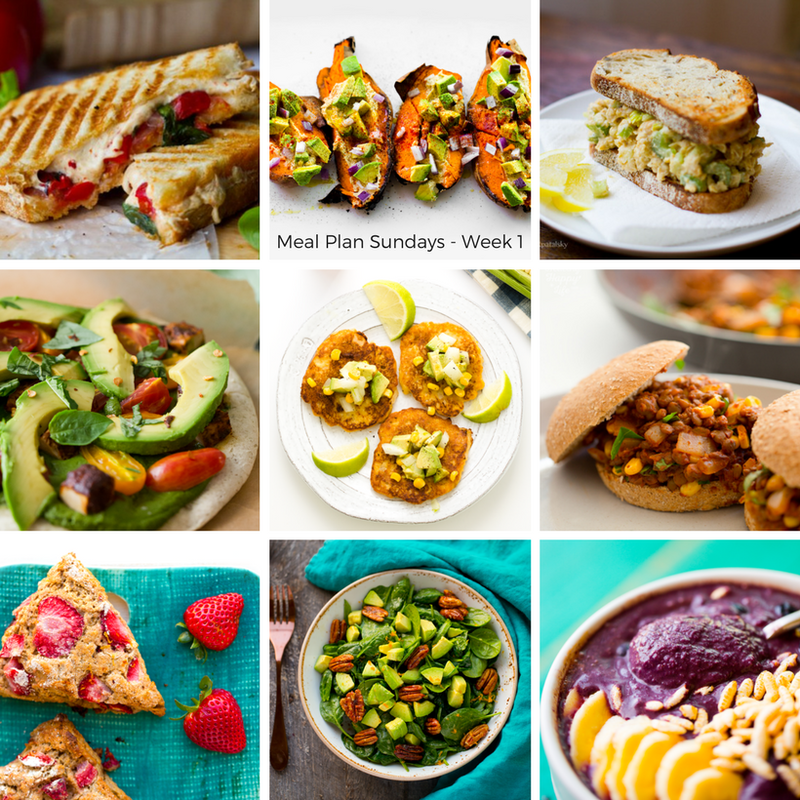 Hope you love this vegan meal inspiration for the week ahead! I am excited to see how these meal plans turn out for you guys. I hope they are helpful. I will also be sharing some of the links and my experiences making these recipes, on my Instagram Stories! Share your creations with me on social media so I can check them out and share a few!